I love Macomber's holiday romances and, because I don't typically read contemporary romances, I think the romance blended with the spirit of the season for me makes a perfect escape. I have read a number of Macomber holiday books such as Merry and Bright, Dashing Through the Snow, and Twelve Days of Christmas. This one has become my new favourite! Carrie Slayton is a columnist for the Chicago Herald's society page and feels that her talent is being wasted. For two years, she's been writing these fluff pieces and she is ready to be a serious reporter. With her whole family in Washington and nothing to lose, she gives her boss an ultimatum: Either give her an opportunity to prove herself or she walks. When he realizes that she is serious, he tells her that if she can find the elusive writer Finn Dalton and get an interview worth printing, then she will have her pick of any assignment. Carrie is up for the task, but she knows it won't be easy. Finn is a survivalist living in Alaska, and he wrote a bestseller about his lifestyle and has shunned any publicity. No one has even seen a picture of him. All of his communication with his publicist has been through email. Carrie had intended to fly home to Seattle to be with her family for Thanksgiving. Instead, she is taking the opportunity to go to Alaska and to try to find Finn. Her mom is disappointed when she gives her the news that she won't be coming home, but talking with her mom about Finn and brainstorming ways to try to find him leads Carrie to a breakthrough of finding Finn's mother. Finn jumped on a plane and flew to Chicago to see Carrie because he missed her. I love that spontaneity. This one gave me all the feels and was a perfect holiday romance! I can't wait to read Macomber's new holiday romance, Alaskan Holiday, which is expected to be released in October and takes us back to this perfect setting. I would like to add something about the artwork on the cover. 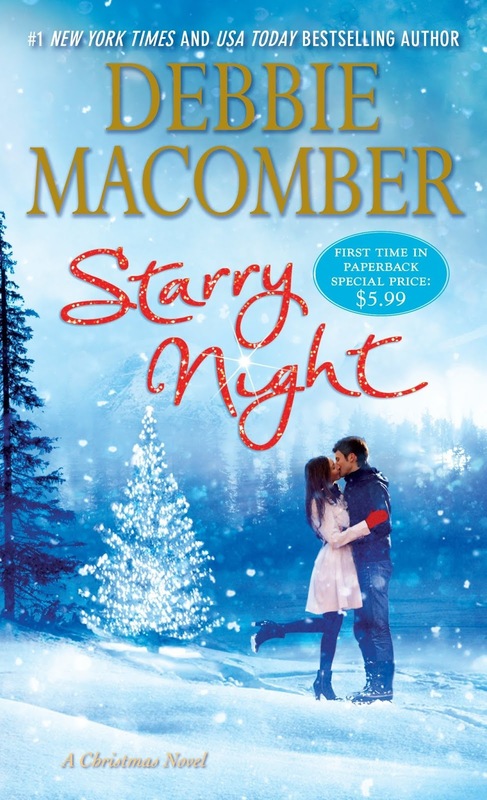 It's very pretty and festive, but the woman depicted does not fit Macomber's description. Why does the woman have straight hair, instead of wild curls which Macomber wrote were the bane of Carrie's existence? Details, details! 5 stars!! I absolutely loved it and will likely re-read it! You should definitely put it on your TBR if you enjoy holiday romances. I always enjoy her holiday novels and I am glad you had so much fun with this one!